After what feels like an eternity I've finally made some progress. 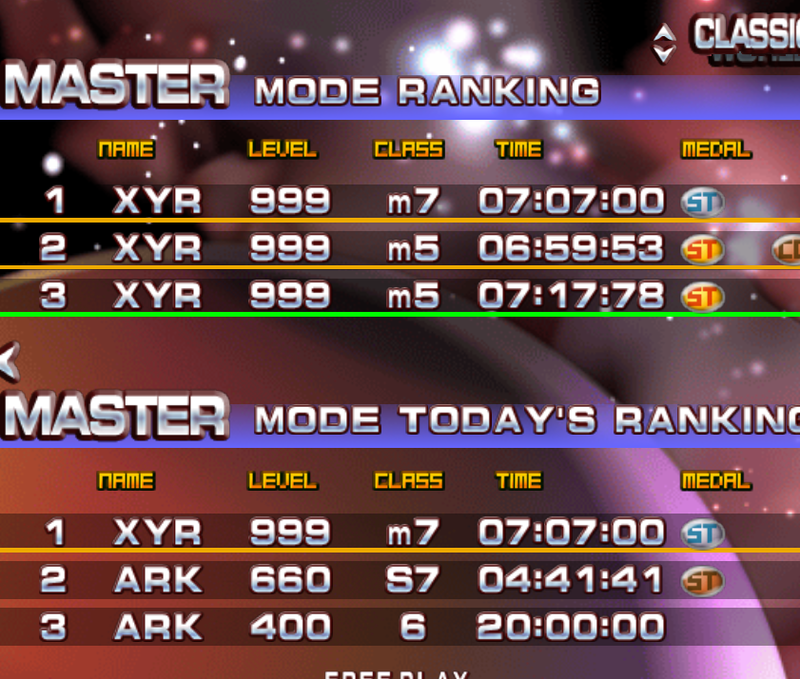 Only a ~2 second improvement, but an improvement none the less. EnchantressOfNumbers and mycophobia like this. 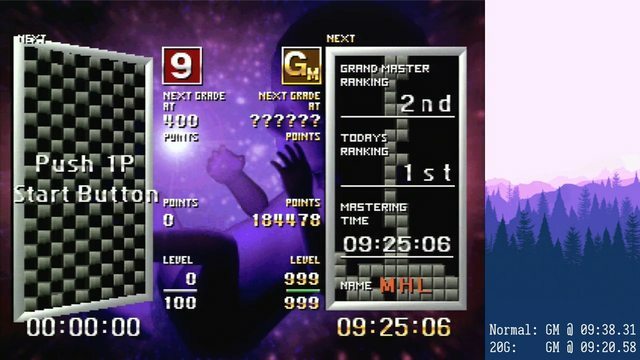 Not that great compared to my Texmaster time (10:50:81) but it's something. Played on MAME. I imagine it's going to go down over the next couple of days, so I'm not going to cut the video yet, if it doesn't I will. But I got an 11:11:00 GM. 9:36:13! Finally getting closer to my goal. GyRo, FreakyByte, mycophobia and 1 other person like this. Qlex, FreakyByte and mycophobia like this. Last week got 9:51, now :41. Maybe I should seriously start recording these, only if my pc wasn't such a piece of crap. Qlex, mycophobia, aperturegrillz and 1 other person like this. Got a nice run in that has about 5-6 pieces of level stop (mostly at just one section) keeping it shy of sub-10:30. Derp. But it's damn close to a tie with my 20G time now. Jii, Qlex and mycophobia like this. Normal GM on the left and 20G on the right. Played on MAME. Jii, mycophobia, Qlex and 1 other person like this. 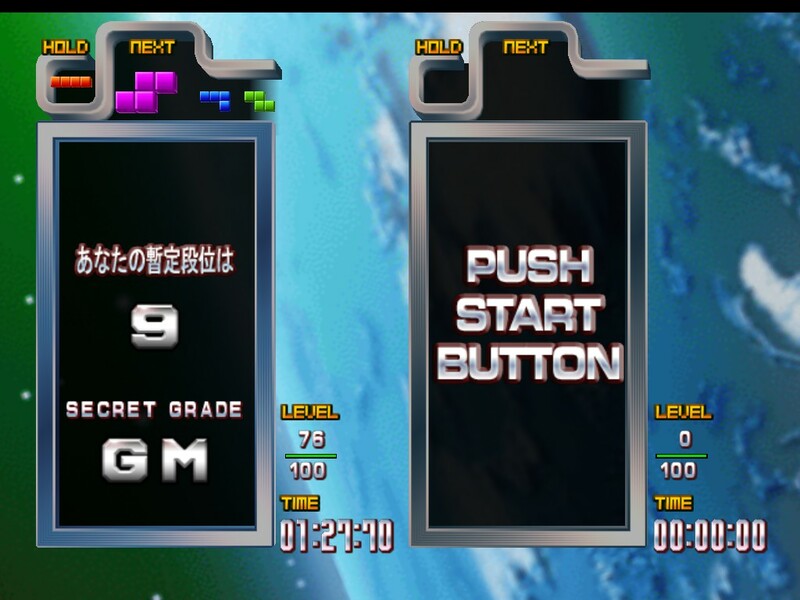 After watching the European Masters I decided I might give TGM another shot after grinding TAP and got a PB on first try. There's still a lot of derp in there (especially awkwardG was terrible) but it's a Sub-11! mycophobia, FreakyByte and Qlex like this. Qlex, Jii, Xaphiosis and 6 others like this. GyRo, mycophobia, d4nin3u and 5 others like this. Sorry about the blurry picture, I need to work out a way to capture it. EnchantressOfNumbers, Qlex and mycophobia like this. Wow. GNU avatar and signs games as RMS. Well my initials are RMS so what choice do I have. Honestly, at the end of this game I was thinking "how bad must I've played before when THIS is a PB". Loads of recovery in 20G, but I probably managed to keep the number of singles lower than before. But hey, a PB is a PB (and I know where to look for timesaves). EDIT: Looking at this a few hours later I might be a bit too harsh on myself. I often see what didn't work, but not what did. Anyways, there's still a lot to work on and I'm looking forward to it! Jii, JBroms, Qlex and 1 other person like this. TGGC, Xaphiosis, Jii and 9 others like this. ... but, let's go better next time 9:0x is within reach! Jii, K, JBroms and 3 others like this. Qlex, mycophobia, Archina and 1 other person like this.